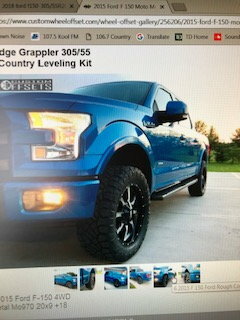 I have a 2008 Ford f-150 regular cab and at the moment I am running a leveling kit with 295/70/17 Nitto Trail Grapplers and stock wheels. I have recently purchased Moto Metal MO970 18x9 +18 offset. I know these will stick out just a tiny bit from the fender because the factory wheels are 17x7.5 +44 offset. Anyway, I was wondering if when I run my new set up with Goodyear Wrangler Duratrac 295/65/18 and the Moto Metal wheels, if I added 1.5" wheel spacers would it make my offset similar to a -12 offset? I would like for the tires to stick out at least 1 in or a little less from the fender without rubbing. I have had a little plastic trimming done to my current set up. 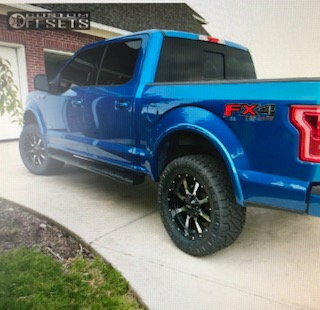 I would like to know if I got the 1.5" spacers, would it rub and make the offset similar to a -12 or should i just run the whole thing without spacers and save money? I'm just going for a slightly aggressive offset. Thanks! 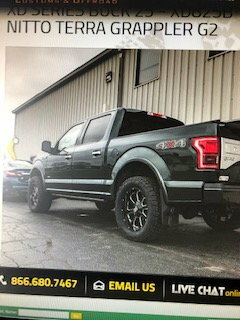 I have installed new tires (305/55R20) on my factory 20" rims on my 2018 Ford F150. Looks great but doesn't give me that slightly aggressive look I'm looking for so I'm in the market for wheel spacers. I've done research and people at performance shops have confused me saying my bolt pattern/thread won't work with most spacers and I have to get adapters. They go on saying that it's suggested to take off tires and re-torque spacers/adapters every other week to ensure wheel doesn't fall off. I'M JUST SIMPLY LOOKING FOR 1.25" SPACERS that will fit my 2018 F-15 factory rims. Does anyone know of a brand/link or suggestions as to how to accomplish this without the need of buying adapters? I know Rough Country only offers 0.25" spacers and I don't think It's going to get me the look I'm wanting. 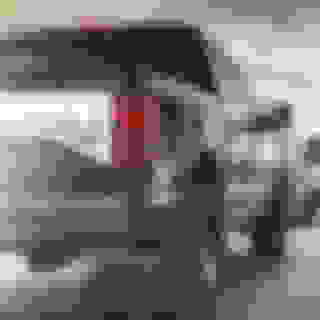 9" wheels with +18 offset and 1.5" spacers would be equivalent to 9" wheels with -20 offset. Easiest thing to do is figure out how much further you want the tires to stick out than with the current tires on the stock wheels. The stock 7.5" wheels will have 6" of backspacing. If you keep backspacing the same, a 9" wheel with push the inside of the tire in 3/4" and the outside out 3/4". If you want the outside of the tire to go out 1" from where it is now, you'll need to 1/4" LESS backspacing that the stock wheels, or 5.75". To go out 2", you'll need 1.25", etc. 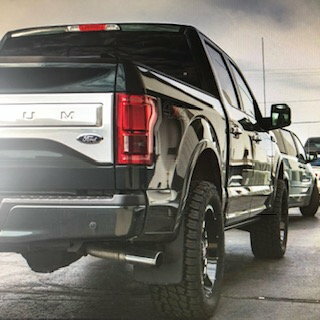 FWIW, I run 17" Raptor wheels on my '12 and they stick out ~1" farther than the stock 18 (or 17) x7.5 +44s. With the 285/70s on them, the tires just barely poke out from the fenders. 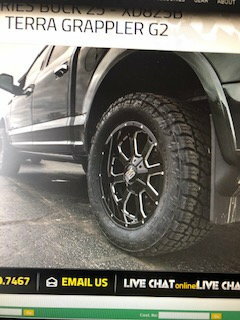 Overall, I like the look and it stays cleaner than if the tires poked out a little more, but I think it would look even better if they stuck out another 1/2" to 1"
Why this is in the Off Road forum is beyond me. It's not advisable to do any substantial off roading with either strut spacers or wheel spacers, unless you're talking about parking your truck on your lawn. Check these out. Bora is a very popular brand. When buying spacers you want to make sure they're hubcentric. You shouldn't need adapters. Dnewbs, post a pic of what wheel you’re running. The 09-14 stock 20’s have a pocket behind and you can run a 1.25” spacer without having to cut your lugs. I think the 15+ trucks are similar. As long as you torque the nuts on and check your work a week later you should have no problems. I’ve run 1.25” on my previous truck with no problems and my current had .25” spacers without issues. There no extra nuts in the .25” ones, it’s just more of a shim.